Showing results by narrator "Richard Smalls"
From Bambi to Aladdin, the best-loved stories of all time are now even better. In Disney Storybook Collection, more than a dozen stories re-create the movie magic of the most beloved Disney films. Perfect for bedtime, the second edition of the popular Bedtime Favorites storybook collection has 19 stories to choose from. Updated story selections feature characters from Finding Nemo, Cars 2, Toy Story 3, The Lion King, and more. From Bambi to Aladdin, the best-loved stories of all time are now even better. In Disney Storybook Collection, there are tons of stories that re-create the movie magic of the most beloved Disney films. 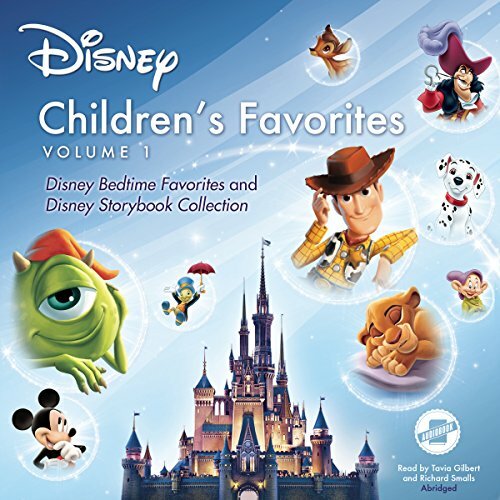 Perfect for bedtime, the second edition of the popular Bedtime Favorites storybook collection has 19 stories to choose from. Updated story selections feature characters from Finding Nemo, Cars 2, Toy Story 3, The Lion King, and more.